Anthony Bourdain’s Paris episode for “The Layover.” The segment on Le Bistrot Paul Bert begins around the 14:40 mark. We always arrive at 2 pm after a long walk from our apartment and always get a table. Good service means you wait, so you can enjoy conversation and food. I have eaten in most of the 5* restaurants and refuse to go anymore. I don’t want pretty food that is tasteless. 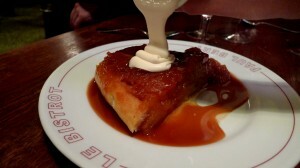 Give me butter , cream , cheese, heavy sauce and lots of sugar in my desserts. And walk ladies and gentleman, thats all I do so I get to enjoy my food without worries. 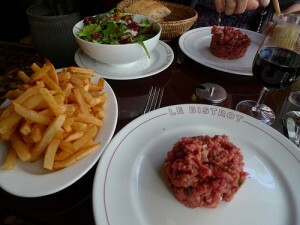 At the end of October, my wife and I were in Paris for a long weekend during which we dined at different restaurants. Bistro Paul Bert was one of the restaurants. 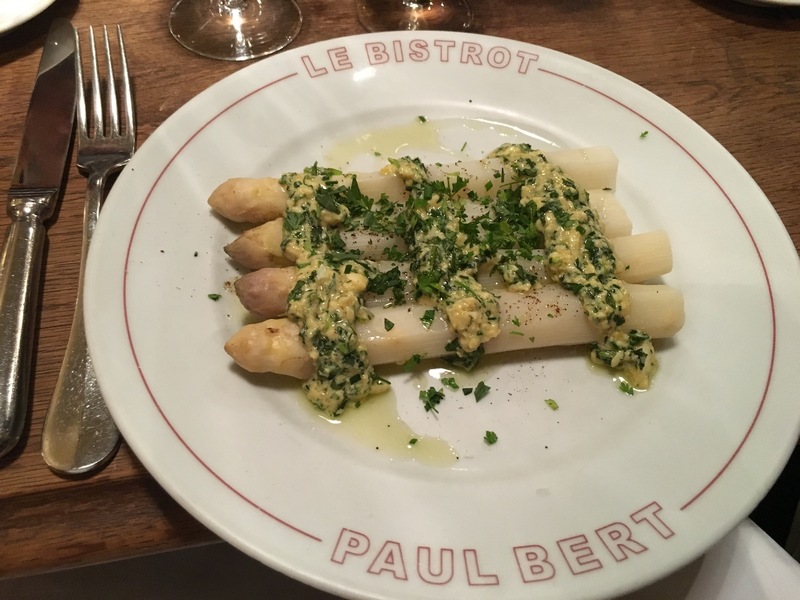 We selected Bistro Paul Bert based on reviews in various culinary/travel magazines with descriptions such as “the quintessential Parisian bistro”, “heart-warming bistro” and “one of the most reliable, approachable and consistently great French bistros in Paris”. Regrettably, my wife and I found it to be anything but. Indeed, the food was entirely inedible as it was drowning in sauce and butter and the house wine was undrinkable. When we attempted to address the issues with our server, she was dismissive and rude. In sum, we took a 30-minute trip to Bistro Paul Bert only to pay €175.00 for food we didn’t eat, wine we didn’t drink, and astonishingly rude service. Suffice it to say, we will never eat here again. 4 of us from London had dinner here on Friday 5 th October. I had booked about 3 weeks before and speak French. The table was booked for 8p.m.and I asked not to be in the back of the restaurant. We arrived at about 7.55p.m. and were placed at the back of the restaurant. It was empty and when I asked to be moved I was told it was not possible. I began to be cross and was going to leave but did not because we did not know any restaurants nearby where we might get a table. We stayed. I am glad we did. We had a superb dinner. The back of the restaurant filled up quickly and we soon got in to conversation with a number of people- French,English, American, young and old(we are old) all of whom were “tres gentility.” The food was good from beginning to end-I had the most beautiful rare filet au poivre-the wines were fine and the waitress could not have been more helpful. This was the third time I have been there over a period of some years. Each time I have been very pleased. This time we were in Paris for 4 days and we ate well and in good restaurants. This was the best and I could not have been treated more courteously. I normally am treated with courtesy perhaps it may be because I am an Anglo-Saxon who always speaks French. 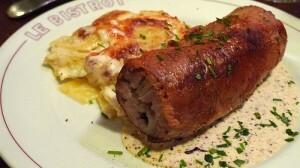 They are incredibly rude at Bistro Paul Bert. They continue to put all of the foreigners in back, and the locals up front. When I asked politely, in French, to move to another table they argued with me dépité obvious open tables. I refuse to go into a restaurant and be treated like a second class citizen. Do they think we don’t notice that they put us all in the back? Arrogant and rude-there are too many lovely bistros in Paris to spend my evening rather than waste my time here. Had dinner last month and were extremely disappointed. The service was slow and waiter rude. 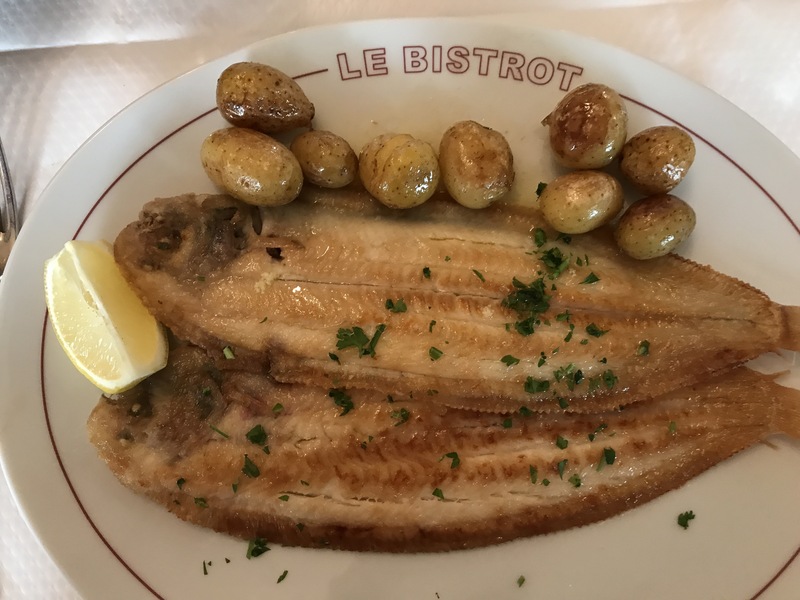 The fish–supposedly with no bones was almost impossible to eat–and the manager would not replace after our complaint. The steak was supposed to be without sauce and again, wouldn’t be replaced. In all, a bad experience–and the manager simply shrugged and let us know that was our problem and not his. Awful. Huge disappointment. Not an “absolute favorite” of mine. Disgusting service. When we asked to move to a different table (after seeing that two other tables were open), the waiter said “If you don’t like it you can leave.” So we left. Arrogant service from a dumpy, loud bistro. You would think they were the only bistro in Paris. Not for me. Funny story, “The Mouth,” we did just as you’d pretty-much recommended…arrived about 11:30, went into the joint, my wife (who can charm anyone) asked in poor French if we could have a table at noon?…well, maybe a half hour after that…we scoped the neighborhood, came back, about 12:15, were greeted nicely and seated–first people in the room– and dealt with in English–and it was about 12:45 that I realized, WE WERE IN THE WRONG RESTAURANT! –6 Paul Bert, not Bistro Paul Bert, and having an absolutely wonderful time…”modern” food, chef’s menu, beautiful plates, every taste a treat & discovery…. (not a potato or a steak in sight)… a happy mistake. thanks, didn’t see your answer until Saturday morning–that’s exactly our plan, to be there a few minutes before noon, with a back-up plan in mind. it’s not so much “fear” as shyness, though….been in plenty of restaurants where I don’t speak the home language, and had great times…. Hi Bruce – it’s a well-known and popular restaurant, so always better if you call to make a reservation. They’re used to English speakers, if that’s your fear. If you do insist on walking in without a reservation, be there when they open (probably noon), but be prepared to be turned away. 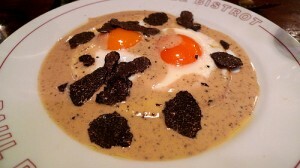 question, really, what are our chances of a table at Bistro Paul Bert as walk-ins at lunch time? People have to get over this place, are you kidding? 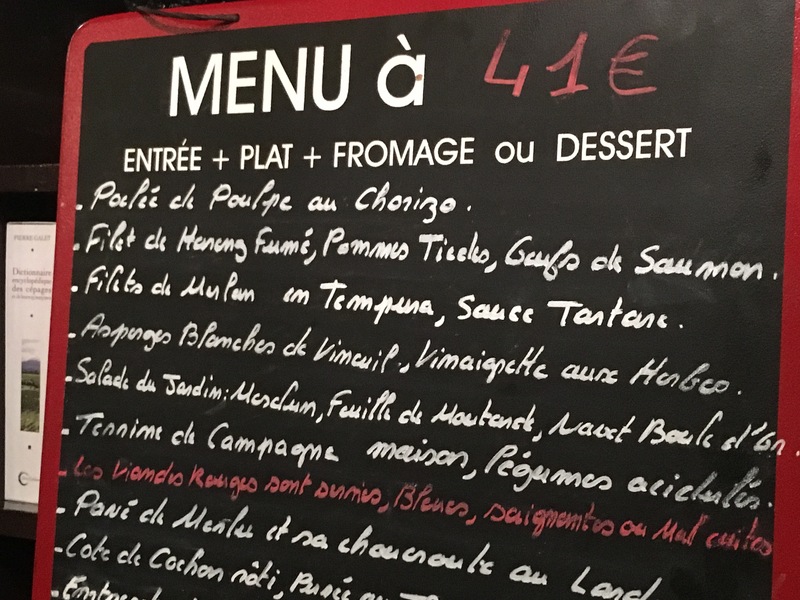 Paris is full of great bistros unaffected by their own press. This place exploits people, especially Americans. Bistros are crowded like today, we get it. But poor service has no place in a competitive market. People will stop coming. What is the best thing on the menu? Hi I’m going to Paris this month! Any idea whether they would be open this year for August? Like around 24th August? It looks like a lot of restaurants are closed. Absolutely awful and a huge disappointment. Hi Lindsey, they should indeed be open during the first week in September. Hi Joseph, I’ve been able to get same-week reservations in the past before, so it’s certainly possible. One thing to watch out for, though, is you may end up with a 22:00 or 22:30 reservation if you wait until the last minute. Am I likely to still get a booking for dinner if I arrive in Paris for a week and try to book on arrival? I absolutely love this Bistro. 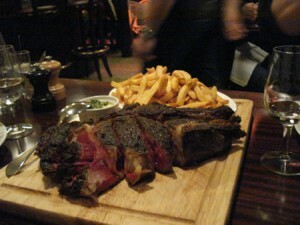 Best steak I’ve ever had! Will they be open the first week in September? We don’t have an email address for them, so you may need to try calling. I realize this is intimidating, but you could write out (and Google Translate, if needed) what you want to say before you pick up the phone. Do you know if they have a contact e-mail address? I would like to find out of they are open for New Year’s Eve and, if so, make a reservation. I can’t wait to take Paris by Mouth! 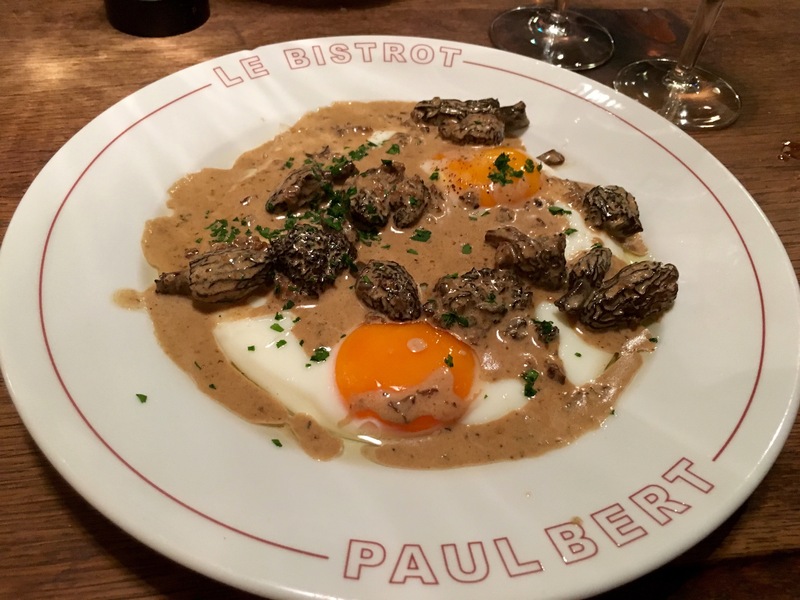 Hi Hayley – Bistrot Paul Bert will be closed all of August. Will they be open the first week in August? Had a near-perfect dinner here last month. Of course it didn’t hurt that we had the great fortune to dine with dorie and michael greenspan. Every dish was a complete delight.